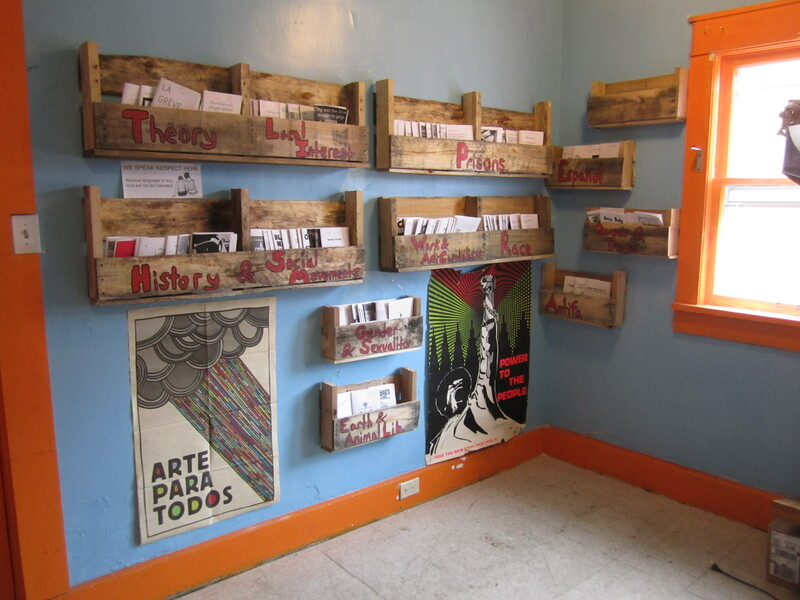 Come hang out in Boxcar Books’ Community Space and check out our developing Zine Library! Materials in the library correspond with zines and pamphlets offered freely to folks incarcerated in Indiana through The Midwest Pages To Prisoners Project Zine Distro. Read zines from the Zine Distro on prison & prison abolition, race, gender & sexuality, queer & trans issues, anarchist theory, social movements, work & anti-capitalist theory, earth & animal liberation, and much more. Get involved at MWPP to help distribute these zines to Indiana prisoners and share letters discussing these materials. For more information on the Indiana Prisoner Zine Distro, visit MWPP’s Zine Distro webpage.